Siemens has received an order for five F-class gas turbines for a 1,500 MW combined heat and power plant (CHP) in Fadhili, Saudi Arabia. 400 MW of electricity and process steam will be used to fuel a new natural gas extraction plant in Fadhili. The additional 1,100 MW will supply power to 1.1 million Saudi households. Doosan Heavy Industries & Construction is responsible for engineering, procurement and construction (EPC) of the plant. 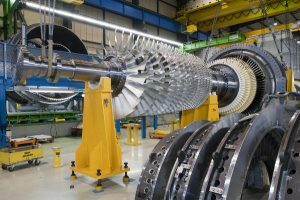 All five turbines will be produced at the Siemens Dammam Energy Hub, the first manufacturing facility for gas turbines in Saudi Arabia, claims Siemens. Moreover, Siemens and Kahrabel FZE, an affiliate of the Engie Group, signed a long-term service agreement for the gas turbines for the Fadhili CHP plant for a period of 16 years. The plant is scheduled for completion in 2019.